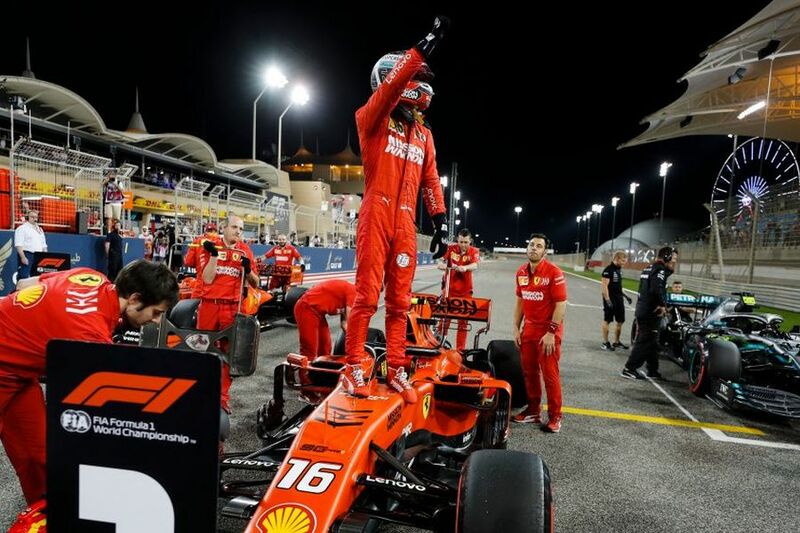 Charles Leclerc (Scuderia Ferrari) will start Bahrain Grand Prix from pole position after he set the fastest time and break the lap record in the qualifying at the Bahrain International Circuit. Leclerc rounded a lap for 1m 28.866 sec, what was 0.294 sec faster than his teammate Sebastian Vettel. Two Mercedes drivers Lewis Hamilton and Valtteri Bottas will share the second row. Hamilton was 0.324 sec slower than Leclerc. Max Verstappen (Red Bull) was fifth, ahead of Kevin Magnussen (Haas) and Carlos Sainz (McLaren). Both Haas was among ten fastest but also both McLarens, as Romain Grosjean (Haas) was eighth while Lando Norris (McLaren) was tenth. Kimi Raikkonen (Alfa Romeo Racing) was between them in the ninth place. After the qualifying session, Grosjean received three-place grid penalty for impending Lando Norris.